Many Agriculture Programs in the South Region have students that have crop based SAE “home projects”. For many, during the winter/fall months funds are secured through a Rural Youth Project Loan; in the spring, land is prepared and planted; during the summer; the crop is cultivated. Worth County FFA Advisor, Mrs. Blaize Bridges (pictured left) visits one of her many students. Mrs. Bridges makes farm visits to supervise her students’ projects. The fall is harvest time; during fall visits Mrs. Bridges helps determine crop maturity, target harvest date, record keeping and harvest residue management strategies. Students with SAE projects and who receive project visits from their agriculture teachers are positively impacted for a life. 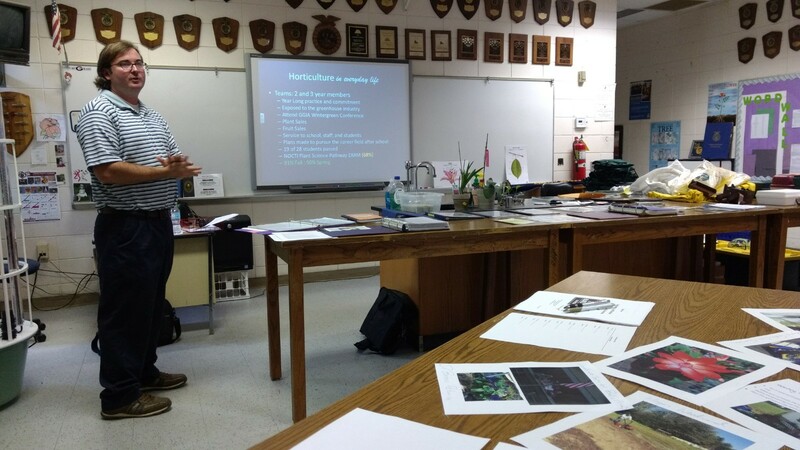 The greatest asset South Region Agriculture Programs have is the Classroom Teacher. A well rounded Agriculture Program follows the “Three Ring” model of Agricultural Education; which are: FFA SAE & Classroom. Out of the three equal components classroom instruction can at times be dry an un exciting; but not in the South Region. Using differentiated instruction, hands on labs, and when needed scissors, glue sticks, and color pencils. Ware County FFA Advisor, Mr. Jay Bennett and one of his hands on student projects. 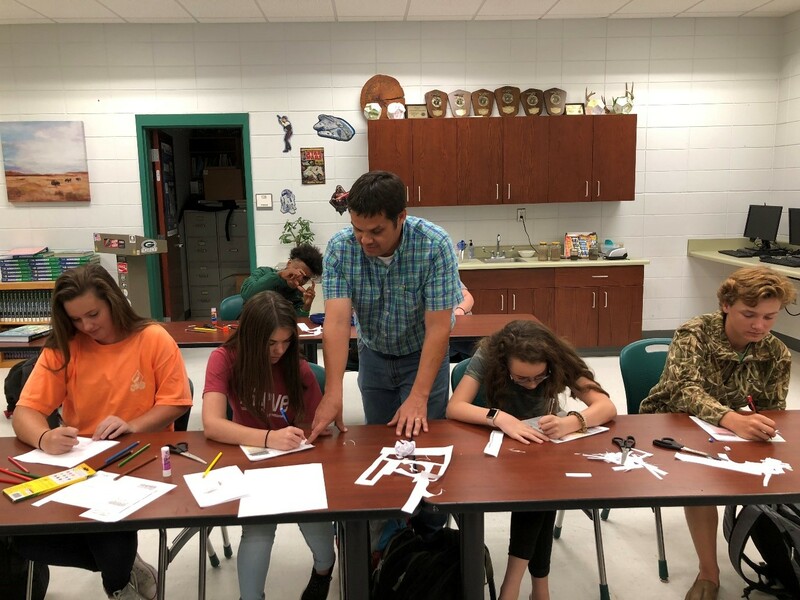 Mr. Bennett makes learning in the classroom fun and engages all learners by using visual and audio components, outdoor labs, and when needed; the art and craft supplies to teach the FFA Emblem. Thank you Jay for not being afraid to have fun doing your job! Mr. Culpepper has been an Agriculture Education Teacher for over 15 years. He has had student compete and be successful in Agriculture Mechanics, Tractor Driving, Welding and EMC Wiring Career Development Events. 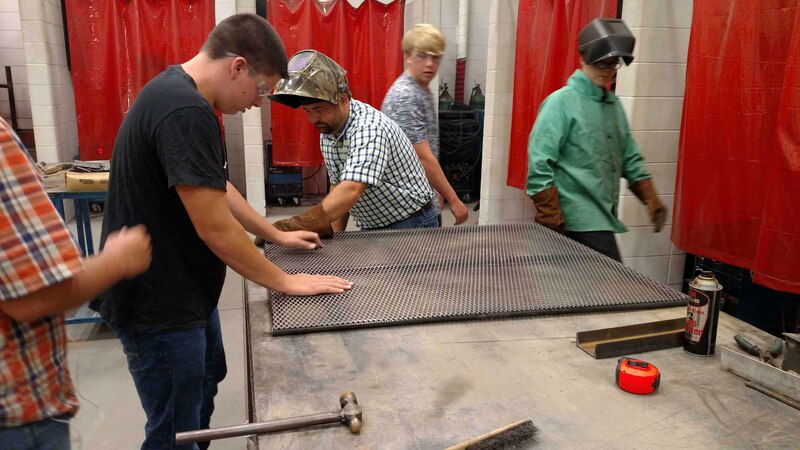 Ben also keeps his classroom busy in the agriculture mechanics shop day in and out to teach his students the value of hard work and to uphold the 3 Ring Model of Agriculture Education. During the summer he not only make SAE Visits but works in the school canning plant. Thank you Mr. Ben Culpepper for guiding so many on the right path and setting a good example for all. Holly Garcia worked hard in school and became involved in the FFA. It changed her life and now she is changing lives! 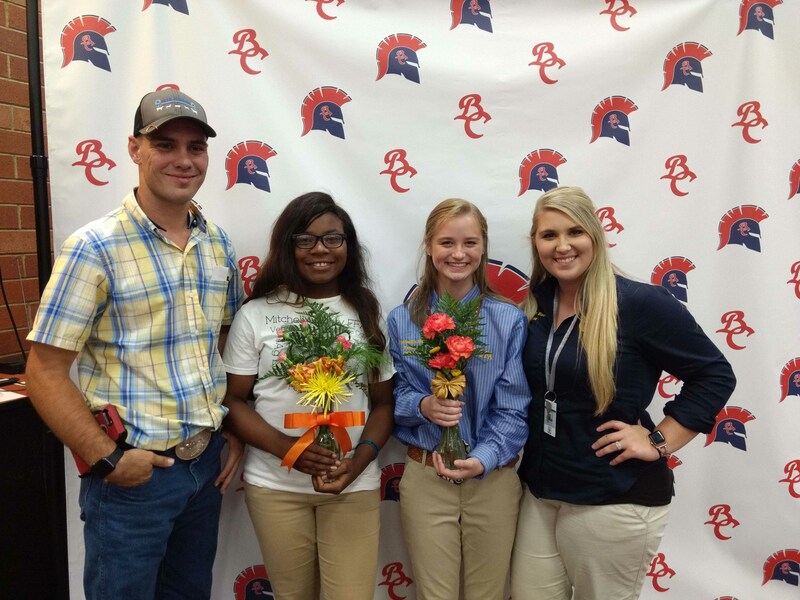 Holly loved competing the FFA on the Floriculture CDE Team. She now has students competing on a National level in the same CDE she learned so much from in school. Thank you Holly for helping your students benefit from this great program just as you did. Back at home in BainbridgeMark Lashleyis sure toteachhis students hands-on skills in the agriculture mechanics shop. Keeping students engaged in skills helps them develop problem solving skills and a good work ethic for after they graduate. Mark also involves students in a wide verity of CDEs such as floral design and land judging. Chicken is more than just a nugget. During class Brantley Middle SchoolAgriculture Teacher/FFA Advisor Dr. Krista Morris disassembles fryers to teach the parts of a chicken, and how products that we consume have driven the poultry industry to meet the demand. 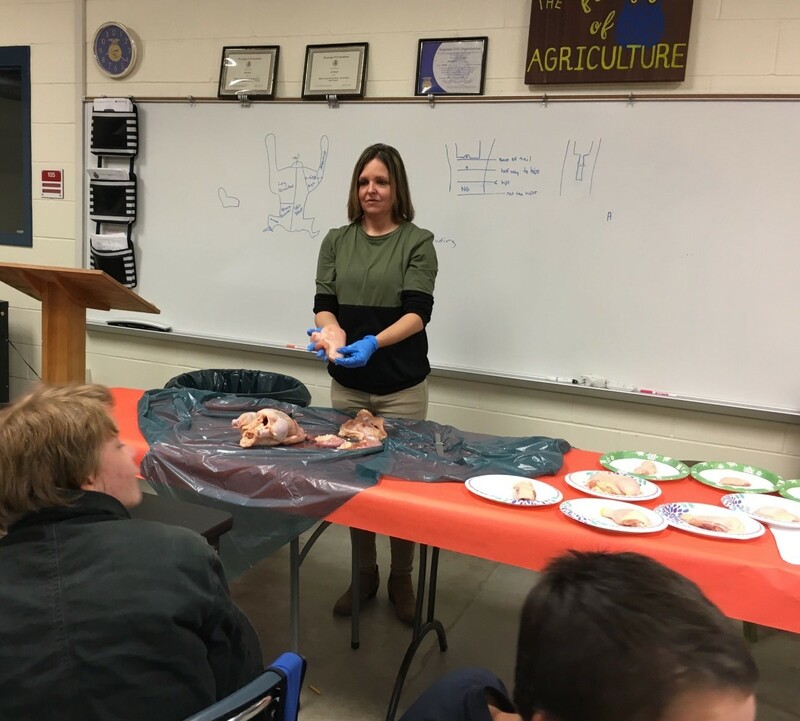 Dr. Morris makes learning in the classroom fun and with FFA being intra-curricular, lessons like this also help students prepare for FFA sponsored Career Development Events; in this case Poultry Evaluation. Thank you Krista for what you do! 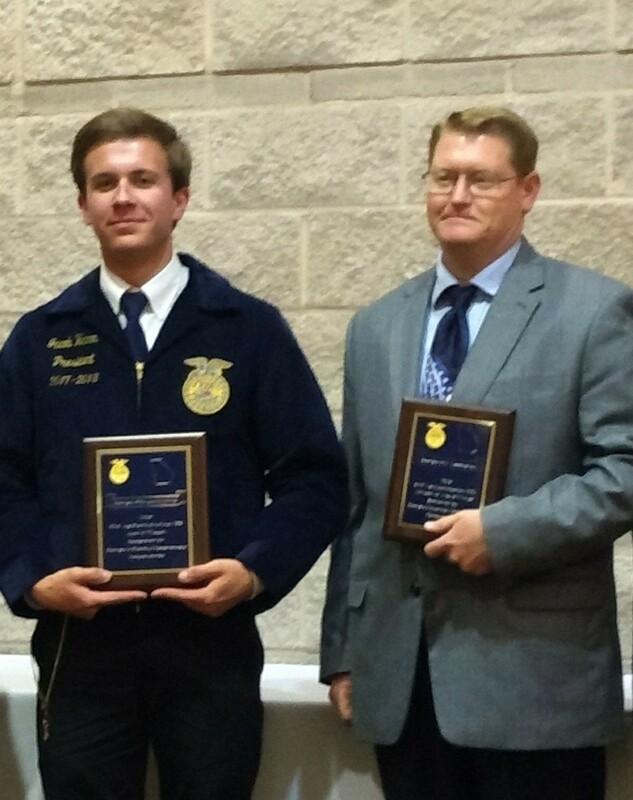 Mr. Rogers is not from the neighborhood of Douglas but has proved to make it his new FFA home. After two years teaching at Coffee County High School Josh Rogers has become Industry Certified in the area of Horticulture, trained students that placed consistently in the top 5 in all Horticulture CDEs and recently pushed a student to receive a top 16 finish in the National Prepared Public Speaking CDE. Continue your hard work using the great team of agriculture teachers and students around you Mr. Rogers and the Coffee County Agriculture Program as a whole will continue to be successful! 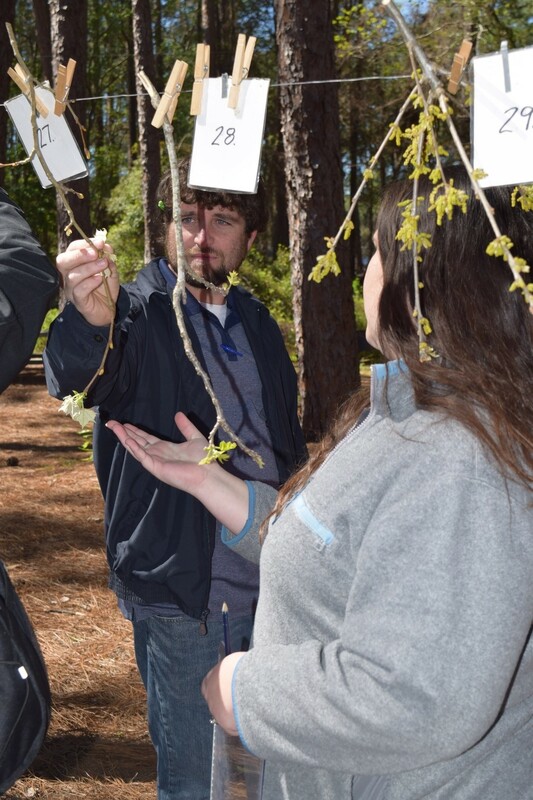 Mrs. Tucker is in her second round of teaching agriculture education in Irwin County and is connecting with students everyday in and out of the classroom. 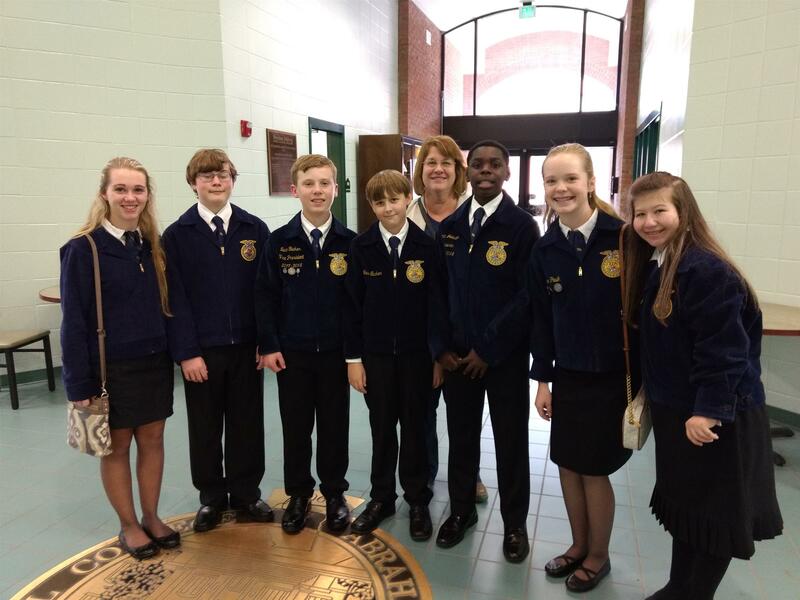 Melanie has pushed her students to try new things in the FFA including the Leadership Development Event (LDE) Conduct of Chapter meetings. 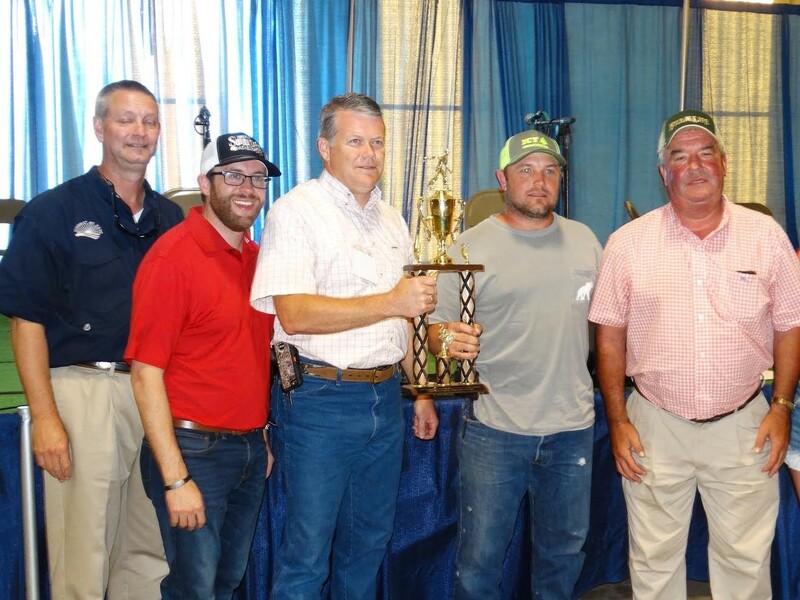 Every year her team has moved up the ranks in the LDE and in all aspects of the total program. Melanie Tucker is a wonderful example of how to run an outstanding FFA Chapter that involves a wide range of students. Keep on going Melanie and thank you for what you do for the program. FFA is a family - literally! Maggie Reeves is Agriculture Teacher at Baconton CharterSchool in Mitchell County and the New Agriculture Teacher at Mitchell County HighSchool is Tyler Reeves. These two spend their time supporting each other's programs to be successful. Getting new students involved is Maggie's main goal and Tyler is learning the ropes of the Agriculture Education World through the eyes of his students and his wife. When we all help each other be our best the total program benefits and more students are positively impacted.